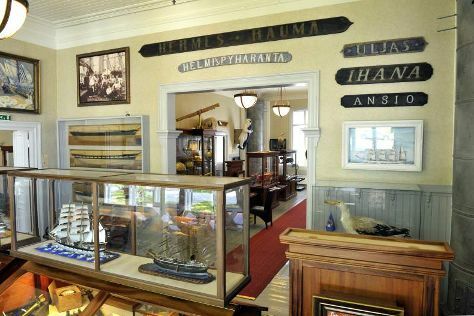 You'll explore the less-touristy side of things at Nagu Church and Rauman Merimuseo - Rauma Maritime Museum. Museum-lovers will appreciate Louhisaari Manor and Kylamaki Village of Living History. Venture out of the city with trips to Rauma (Marela Museum House, The Old Town Hall Museum, & more), Pargas Church (in Parainen) and Korpo Church (in Korpo). There's still lots to do: take in the spiritual surroundings of St Henry's Ecumenical Art Chappel, have fun at Adventure Park, delve into the distant past at Kuusisto Bishop's Castle, and tour the pleasant surroundings at Kupittaa Park. For traveler tips, maps, reviews, and other tourist information, refer to the Turku driving holiday planner. In May, daily temperatures in Turku can reach 17°C, while at night they dip to 5°C. Cap off your sightseeing on the 5th (Sun) early enough to travel back home.